We offer a range of action packed after school clubs for children aged 4-11. 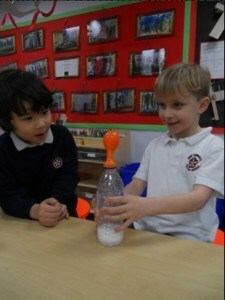 Each programme is taught for an hour a week by a highly trained Fun Scientist in a room on site at your school. These programmes are also suitable for home education groups. For more information or to arrange an after school programme, email bath@fun-science.org.uk or call 07708 214840. Not based in Somerset, Wiltshire or South Gloucestershire? Click here to find your nearest branch.